Hello lovies. Again, it's been way too long since I've been on here, but I'm happy to announce that October is almost at it's halfway point and I will be super duty free from then on. On the 11th, I made my 23rd birthday! Another year older. I have also been making loads of macarons. If you know what these are, and have had them, you should know why I've been making them like CRAZY. Stay tuned to the end of this unboxing for a super awesome giveaway held by Memebox! Shower Mate's Perfume de Whip Body Wash series works to gently cleanse your body with whip-cream like bubbles and at the same time, infuses your skin with 3 of its most popular fragrances - fruity and sweet floral scented Romantic Pink Garden, refreshingly crisp Pure White Blossom, and elegant rose and jasmine scented Marilyn Red Fantasy. There's no need for heavy perfume scents anymore with these natural floral fragrances that you don't even need to spray on separately! Pump out the Body Wash 2~3 times on a shower towel, lather it well, and gently massage it onto your body. Rinse off with warm water. I admit that I am a sucker for anything Marilyn Monroe, but I haven't had the want or need to use these just yet. I'm not too big of a fan to actually wash my body with floral scents and since my sinuses have become much more prone to flaring up, I don't know if I should use these at this time. However, both scents are super nice and wonderfully floral scented. I feel I would get better use out of these if I were to travel for a weekend. Since they are 50ml, they're both perfect size for travel. The Love Recipe Apple Mask is enriched with abundant apple extracts for soothing and balancing out rough skin texture and delivering moisture and nutrition into the skin. The 3 Delight Hydrogel Masks are made from the 'garden complex' containing more than 10 herbal ingredients from Mother Nature and each work to deeply hydrate, firm up, and relieve coarse, thirsty skin. Place the mask over your face and rest for 15~20 minutes. Remove the mask and pat in the remaining essence for full absorbency. While the apple mask was great, THOSE HYDROGEL MASKS ARE EVEN MORE AMAZING. I got so sad when I ran out of them. They are the coolest feeling masks I have ever used and really do moisturize and soften my skin. Altogether, I love all four, but choose hydrogel over paper masks now. I have been converted. Feature a sophisticated point eye makeup with Beauty People's gel liner pencils that come in 3 delicate pearl shades - coral, bronze, and brown - and can be used as both a liner and shadow. They're auto-type liners that easily glide onto your eyelids, making them easy to use for even makeup beginners. Plus, there's an eye liner sharpener attached on the other end for convenience. Fill in between lashes when used as a liner, and when used as a shadow, draw onto your eyelids and quickly blend in. Never in my life have I had a $38 dollar eye liner before, but I am highly impressed with this gel eye liner. It does stay as it says. 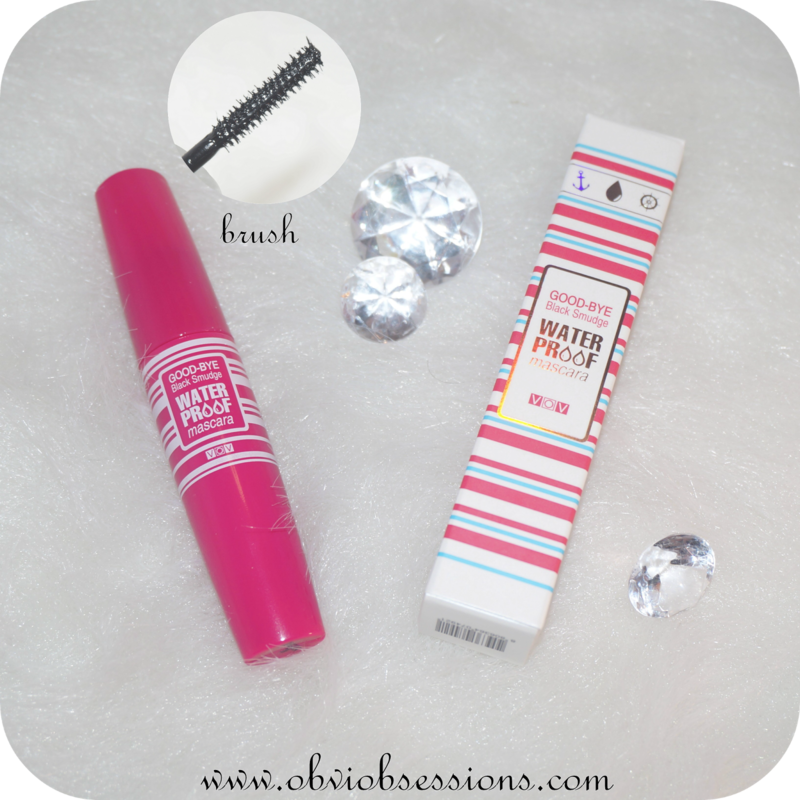 I mostly like to use this on my lower lash line. It makes for a great neutral eye liner. I got this gel eye liner in glam bronze and am glad to have gotten this color. I find it to be so fitting for the fall months ahead. Here are VOV's Lash Proof and Volume Prood Mascara and Button Liner, all widely acknowledged and greatly loved for their superior waterproof and long-lasting formula. While the Lash Proof Mascara boosts its straight triangular shaped brush for getting right up to the roots of your lashes, the Volume Proof Mascara has a brush shaped in a square C-curl for adding that extra volume to your lashes. Also, the Black Button Liner contains fine pearls and adds more definition and radiance to your eyes. Apply the eye liner or the mascara according to your makeup routine. 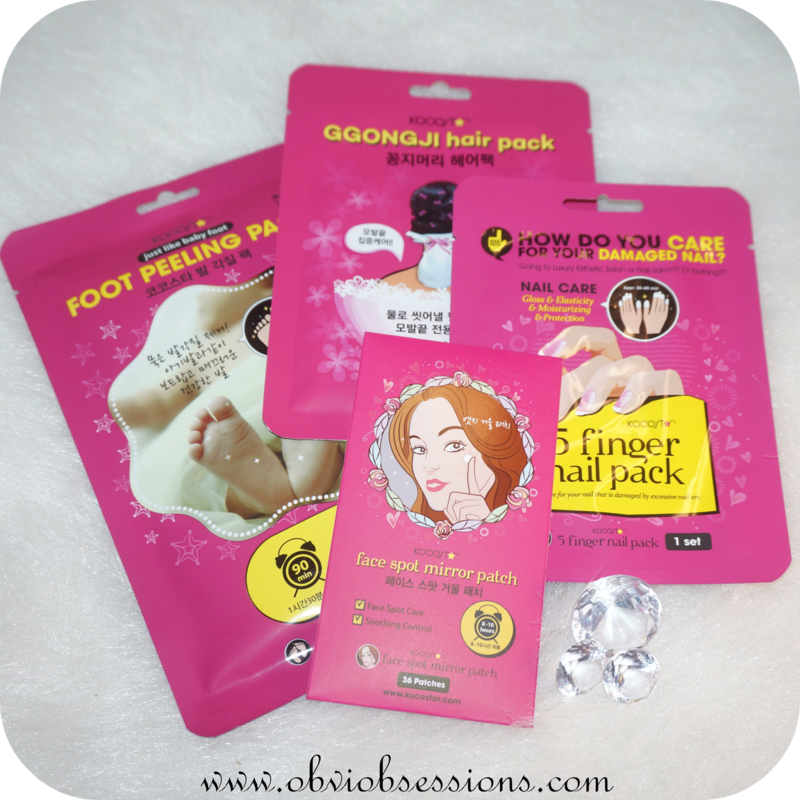 The ultimate set of packs for treating your hair, nails, feet, and face easily in no time at all! First off is a hair pack for your ponytail that you don't need to wash off after use. Simply place your ponytail into the Ggongji Hair Pack and fasten it with the included hair elastic band. Then there's the Face Spot Mirror Patch which works to treat skin blemishes and spots on your face. A unique feature of this spot patch is that there's a small mirror included in it's packaging for your convenience when applying the product. Thirdly, moisturize, protect, and add more gloss and elasticity to your nails with the 5 Finger Nail Pack. Last but not least, the Foot Peeling Pack works to peel away all dead skin cells from your rough, coarse feet within 4-5 days of application, leaving your feet baby skin soft and supple! Ggonji Hair Pack : Tie your hair up in a ponytail and place it into the pack. Fasten it with the included hair elastic band and rest for 30 minutes. Then remove the pack and blow dry or style the hair with your hands. Face Spot Mirror Patch : Remove the spot patch from its film with clean hands and place it over skin troubles and spots. Remove the patch after 8-10 hours. 5 Finger Nail Pack : Wear the finger nail packs over your fingers for 30-60 minutes. Note that 5 packs differ in size according to each finger. Foot Peeking Pack : Cut the pack in half along the dotted line to divide it into two pairs. Wear each on your foot and fasten it with the sticker attached. Rest for about an hour and half, remove, and rinse off with water. The dead skin cells will start to peel off within 3-5 days after application. Just like the face masks, I was super excited to see these four awesome babies. Especially the foot peeling pack! I've been saving everything for a day when I can really pamper myself. If you ever felt that BB creams are a little too heavy while CC creams are too light and ineffective for covering up skin imperfections, then Sua Young's famous MEIN Liquid Foundation is just the item! Free of mineral oil, paraben, alcohol, artificial fragrance, phenoxyethanol, and talc, it contains only organic ingredients and works to protect and deliver nutrition into the skin. Also, the light pigment of the liquid foundation allows it to quickly adhere to the skin without any clumping and all the while effectively covers up minor skin imperfections with a long-lasting finish. Apply the liquid foundation evenly over your face and pat it on for better adherence. The only thing I don't particularly like about this foundation is the liquid aspect of it. However, it blends like a dream when using a beauty blender and looks natural. It does cover up my hyperpigmentation. This vitamin essence is literally packed full of numerous vitamin capsules that will deliver deep nourishment and nutrition to your skin, balancing out the oil/moisture level, brightening darkened skin tones and evening out rough skin textures for a much smoother, silkier complexion. After toner application, apply generous amount all over your face and dab it in for faster absorbency. I've always wanted one of these. I think there was another Memebox that had this in it and it was one of the boxes I didn't get. It feels like a really drying oil on the skin. You definitely have to apply your normal routine after putting this on your face. 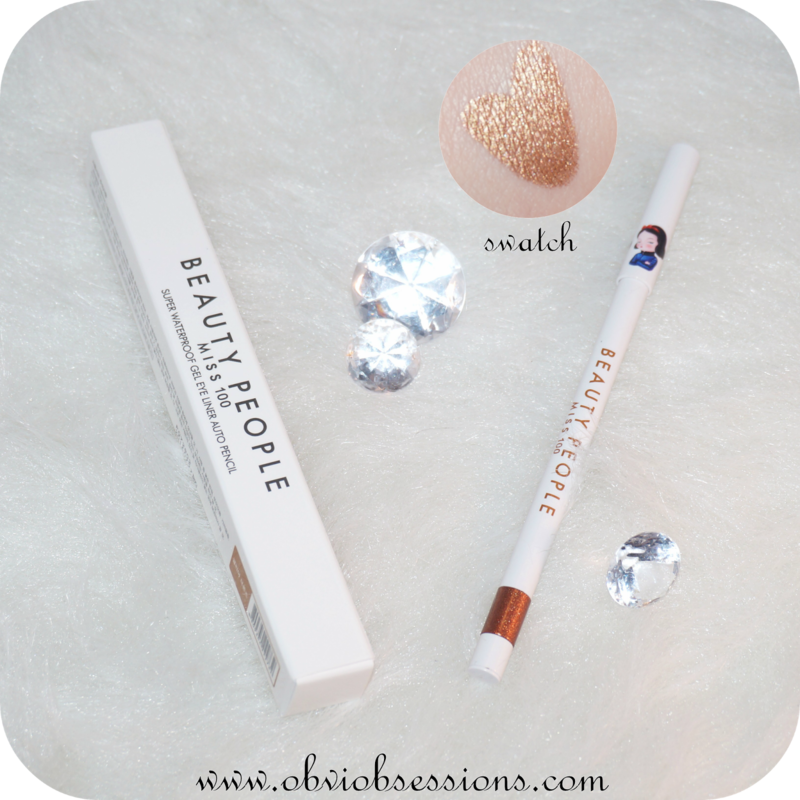 A smart 2 in 1 item for adding color and radiance to your lips and your cheeks, the Fantasy Holic Lip & Cheep Designer Pencil works to naturally blend into the skin without any clumping and its matte finish lasts for a very long period of time. 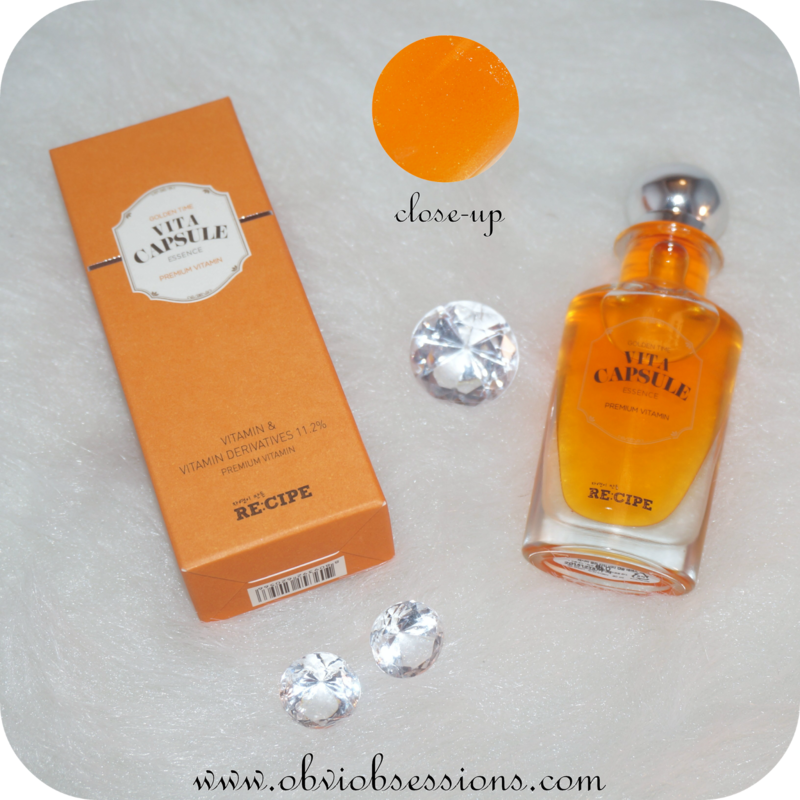 If you wish to feature more supple and glossier lip makeup, mix in the Lip & Cheek Designer Pencil with a lip gloss. Apply the Designer Pencil onto your lips. When used as a blusher, gently roll it over your cheekbones and use your hands to blend it in. 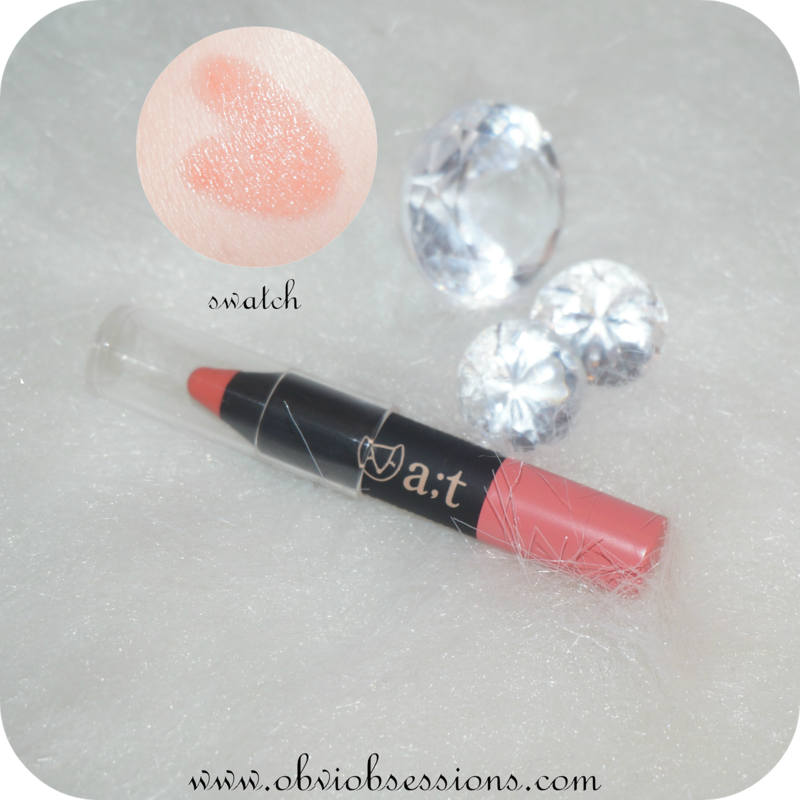 I got the option 01 Sweet Orange and on the lips, it turns out to be a really pretty peachy pink. It's not so much matte on the lips as it says though, but I really like how this looks on me. This box was a total hit for me. It came with more in it than most boxes do. I have NO complaints about this box whatsoever. Everyone is a winner with Memebox! October 13th, 2014 - October 20th, 2014. I will be choosing the winners via Rafflecopter. 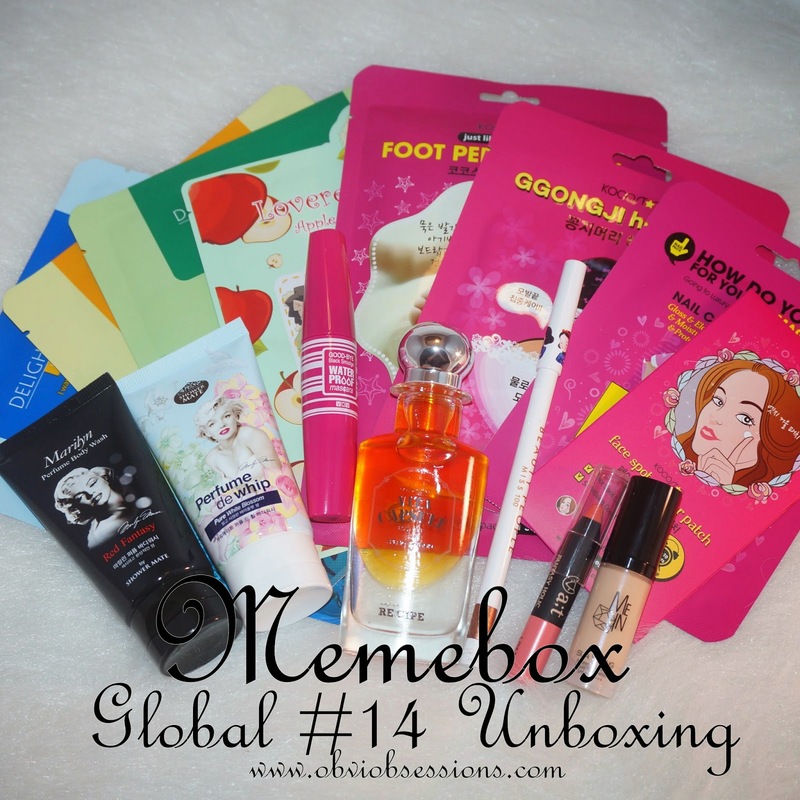 You MUST sign up for a Memebox account and include complete shipping details. You MUST also sign up for the Memebox newsletter. Duplicate accounts are NOT permitted. Memebox has the right to reject any participant that had an account with Memebox prior to this giveaway. This is for NEW MEMEBERS of Memebox ONLY. Even if you do not win, you will be automatically given 3 Memepoints at signup. This giveaway is also an INTERNATIONAL giveaway. There are PLENTY of Memebox Giveaways being held at this moment, so that gives you a bigger chance to win. However, if you win one giveaway, you won't be able to win another giveaway. One person will win a total of 30 Memepoints, which equals to one free Memebox of your choice with the standard shipping option. Two people will win 7 Memepoints, which equals to free standard shipping on a Memebox order. Please play fair as well. I don't condone cheating and will handle any cheating with complete disqualification. To my loyal Memebox readers, it's alrigggght! Memebox plans to hold giveaways for loyal customers soon! Hope you've enjoyed my unboxing. I'll be doing another Memebox Global unboxing very soon. I hope you enter my giveaway! <3 Have a wonderful day, my lovies. Ah Im so happy ^^ Thank you very much.